FREE Salads For Every Season: 25 Recipes From Earthbound Farms E-Book! 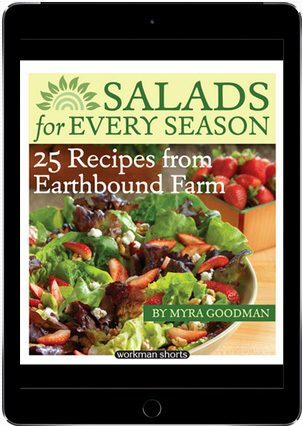 You are here: Home / FREEbies / FREE Salads For Every Season: 25 Recipes From Earthbound Farms E-Book! Here’s a great FREEbie for all of you who (like me!) are always looking for new receipes! This month, you can download the Salads for Every Season: 25 Recipes from Earthbound Farms E-book for FREE! To get your FREEbie as well as other e-book deals, product giveaways and seasonal recipes just enter your email to sign up for the Blue Plate Special e-newsletter!